The most common problems are.. Keyboard headers, broken voltage regulator and faulty memory. 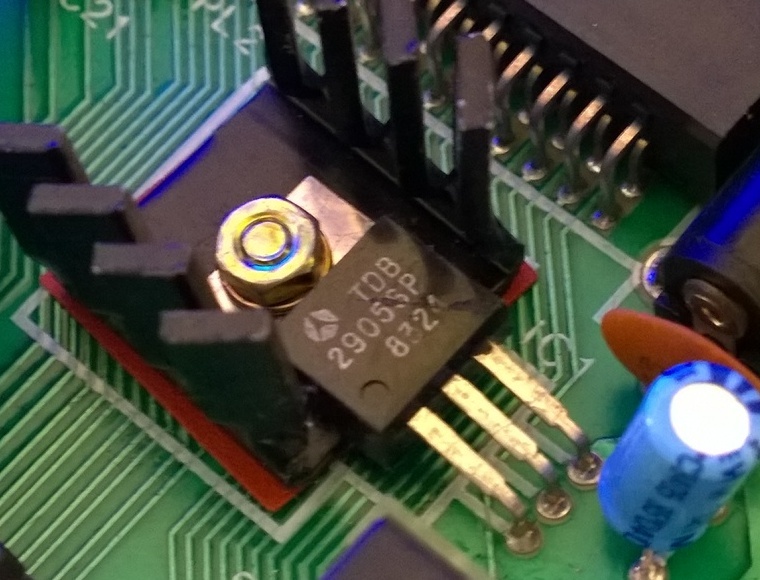 If your Oric shows no sign off life, check out the regulator. This one has let out its magic smoke.. Can you see the crack? Replacement 5v regulator. 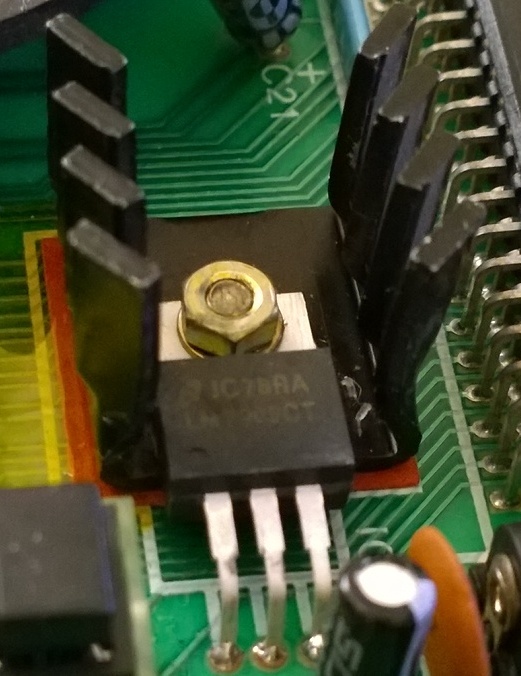 Make sure the heatsink is isolated from the tracks! If you think a Speccy can get warm, you've got no bloody idea!.. Standard cooling isn't up to the job. Frankly you must add more metalwork to the regualtor on the underside of the PCB. 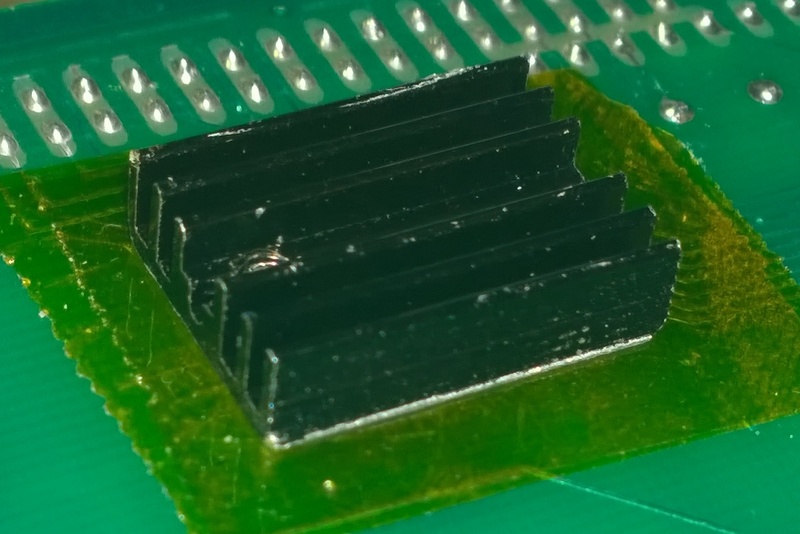 Either a heatsink like this, or some custom copperwork. Be very carefull it doesn't touch the bottom of the keyboard or you'll get a short. 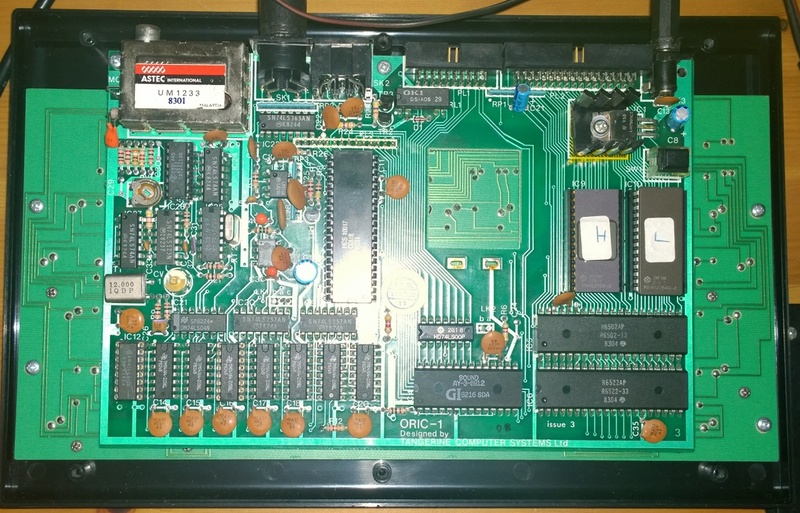 Something else.. Quite often, you'll find an Oric Atmos with an Oric-1 PCB. 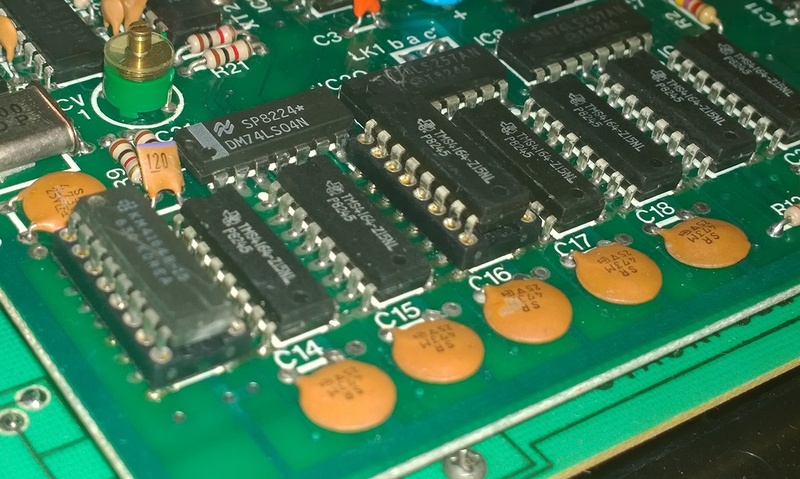 Now, all Atmos have the same PCB as an Oric-1. The difference is in the roms. 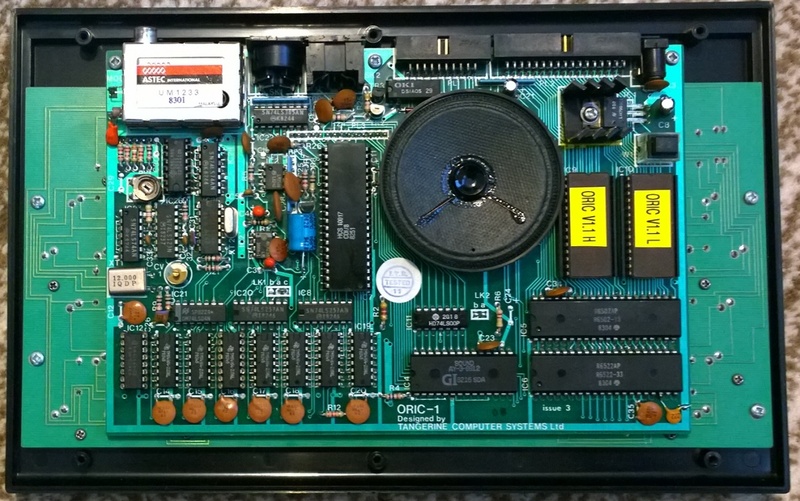 This machine really was just a knackered old Oric-1 in an Atmos case.